INDIANAPOLIS, March 4, 2015 – The AT&T American Cup, the USA’s most prestigious international invitational, will make its New Jersey debut at Prudential Center in Newark, N.J., on March 5, 2016. The AT&T American Cup features the world’s best gymnasts in a one-day all-around competition. 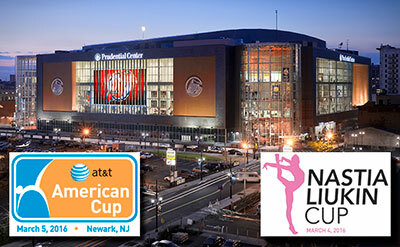 The Nastia Liukin Cup, which showcases many of the country’s top Junior Olympic female gymnasts, will be staged in conjunction with the AT&T American Cup on March 4 at Prudential Center. Tickets for the 2016 AT&T American Cup, which is expected to begin at 11:30 a.m. ET, will go on sale to the general public this fall. For group (10+ people) sales information, please call Prudential Center at 973-757-6250. 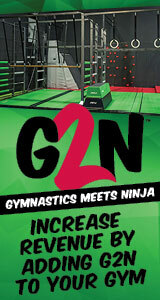 Discounted tickets are also available through local gym clubs that participate in the Club Ticket Sales Program. The AT&T American Cup has been a part of the International Gymnastics Federation’s all-around World Cup Series from 2011-15. Past sites for the American Cup include: New York City (1976-80, 1982-84, 2004, 2008, 2012); Ft. Worth, Texas (1981, 1996-98); Indianapolis, Ind. (1985); Fairfax, Va. (1986-90, 2003); Orlando, Fla. (1991-94, 2000-02); Seattle, Wash. (1995); St. Petersburg, Fla. (1999); Uniondale, N.Y. (2005); Philadelphia (2006); Jacksonville, Fla. (2007, 2011); Hoffman Estates, Ill. (2009); Worcester, Mass. (2010, 2013); Greensboro, N.C. (2014) and Arlington, Texas (2015). Prudential Center. Prudential Center is a world-class sports and entertainment venue located in downtown Newark, New Jersey. Opened in October 2007, the state-of-the-art arena is the home of the National Hockey League’s (NHL) three-time Stanley Cup Champion New Jersey Devils, Seton Hall University’s NCAA Division I Men’s Basketball program, and more than 200 concerts, family shows and special events each year. Ranked in the Top 10 nationally by Pollstar, Billboard and Venue’s Today, Prudential Center is recognized as one of the premier venues in the United States, and welcomes more than two million guests annually. For more information about Prudential Center, visit PruCenter.com and Facebook, and follow @PruCenter on Twitter.